Last week I covered an Australian actor who hit the big time during Hollywood”s Golden Age. So I thought we would finish the month by looking at the names of two contemporary Hollywood film stars born in Australia. Hugh Jackman had a career in stage musicals and on Australian television before he got the breakout role of Wolverine in the 2000 X-Men film. As well as gaining success with this franchise, he has continued in musical threatre, most famously portraying Australian singer-songwriter Peter Allen in The Boy From Oz. Among his other major roles are the heroic Jean Valjean in the musical film Les Misérables, and leading man Drover in Baz Luhrmann’s romantic epic Australia – it came out in 2008, and in the same year Hugh was named Sexiest Man Alive by People magazine. Most recently he appeared in box office flop Pan as the wicked pirate Blackbeard. Not even super trouper Hugh could save this stinker. Margot Robbie got her start on soap opera Neighbours – something which was offered to Hugh Jackman at the start of his career, but he turned down. Playing the kooky Donna Freedman for three years made Margot a household name in Australia and Britain, but her dream was always to go to Hollywood. Her breakout year was 2013, when she appeared in About Time, and The Wolf of Wall Street. In both these films, her character was a focus of desire, and her stock soared. Next year we will see her as comic book villain Harley Quinn. She has just been named the Sexiest Actress Alive by Glamour Magazine – getting on a “sexiest list” was good publicity for Hugh, and hopefully for Margot too. English form of Hugues, Old French form of the Germanic name Hugo, meaning “mind, thought, sense, understanding”. An early namesake is Hugh the Great, a 10th century Duke of the Franks and Count of Paris; his son Hugh Capet became the first King of France, forging the powerful House of Capet who were to produce thirteen generations of French kings. This royal seal of approval made the name popular amongst the Frankish nobility in the Middle Ages. The name Hugh was brought to England by the Normans, where it was in common use for the Norman aristocracy – the English spelling comes from the Picardy form of the name. The name Hugh was used to Anglicise the Gaelic names Aodh and Uisdean, making it common in Scotland and Ireland as well. The name was boosted by the popular St Hugh of Lincoln, a French nobleman who became bishop of Lincoln in the 12th century. He had an attractive personality, did many charitable works, tried to protect Jews from persecution, and was a great animal lover who befriended a wild swan. As a result, he is one of the most popular of the English saints. St Hugh’s College at Oxford University is named after him, as the college’s founder was the daughter of a Bishop of Lincoln. Hugh is a classic name which has never left the charts. It was #65 in the 1900s, and left the Top 100 in the 1930s, reaching its lowest point in the 1970s at #212. After that it rose until it made a minor peak at #136 in 2009 (the year after Hugh Jackman starred in Australia) and is now around the mid-100s and fairly stable. The name Hugh was been almost constantly on the US Top 1000, and was most popular in the late 19th century. It dropped off the charts in 2008, and is currently #869 and fairly stable. In the UK, Hugh had a solid run in the Top 100 from the middle of the 19th century until the 1960s, and has never been out of the Top 400. Currently it is #352 and stable. Hugh is probably most popular in Ireland, where it has been on and off the Top 100 in recent years. Hugh is a classic name that has been in use for over a thousand years. Although it hasn’t been popular for almost a century, it’s barely been out of the Australian Top 200, and has been stable for years. That makes it a very reliable choice, quite different to the swift-rising popular Hugo. Of royal origin, Hugh is aristocratic, yet comfortably unassuming, and under the radar. Pet form of Marguerite, the French form of Margaret, meaning “pearl”. Margot was used amongst royalty and aristocracy: a famous example is the 16th century Margaret of France, who was named Marguerite, but called Margot. Beautiful and fashionable, Margot was queen both of France and Navarre, and wrote her memoirs during 18 years imprisonment by her brother. She helped inspire Shakespeare’s comedy, Love’s Labour Lost, and is the subject of Alexandre Dumas’ historical novel, La Reine Margot. Margot first entered the charts in the 1930s at #233, when Dame Margot Fonteyn began her career at the Vic-Wells Ballet School, and was appointed principal dancer. It peaked in the 1950s at #218, and left the charts in the 1980s, when Dame Margot had retired, and no longer presenting TV shows on ballet. Margot was more popular in Victoria, where it made the Top 100 in the 1930s. In the US, Margot has been on and off the Top 1000 several times without ever getting into the Top 500. Its most successful period was between 1929 and 1955, correlating with the peak of Dame Margot Fonteyn’s career: it reached its highest point in 1938 at #586. 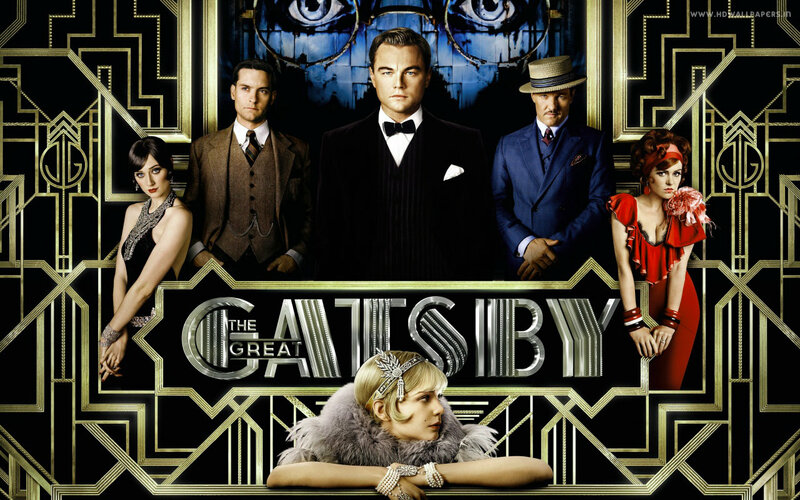 It returned to the Top 1000 in 2013, the year of Margot Robbie’s Hollywood success. Currently it is #747, and apparently rising. In the UK, Margot has generally been on the rise since 1996, and had a significant boost into the Top 1000 in 2009, around the time Margot Robbie joined the cast of soap opera Neighbours. It began rising steeply in 2013, and is currently #415. In 2012, Margot was in the 600s in Victoria, but seeing the very strong international trends, it would be remarkable if the name had not risen significantly in 2013 as it did in other countries, and is in all likelihood still rising. This is another French royal name, but has quite a different feel to solid Hugh – far more glittering, and with a fashionable O-sound ending. Ushered onto the charts by a supremely talented dancer, it has again been brought into the spotlight, and given further starpower by being chosen as a celebrity baby name. Little wonder that parents are wondering just how popular Margot will become in the future. As Margot Robbie has been such a strong influence on the name, it will be interesting to see how the elegant name Margot fares once Suicide Squad is released, with Margot Robbie playing the crazed super-villain Harley Quinn. Will it gain an ever wider audience of fans? Hugh received an excellent approval rating of 84%, making it one of the highest-rated names of 2015. 51% of people thought Hugh was a good name, and only one person thought it was terrible. Margot received a very good approval rating of 75%, making it one of the highest-rated names of 2015. 45% of loved the name Margot, and 8% thought it was terrible. Austins Ferry is a suburb of Hobart, named after convict James Austin. Austin and his cousin was transported to Australia in 1803, and after their sentences expired, were given small land grants on the River Derwent near Hobart. In 1818 they established a ferry service across the river, and became very wealthy. You can still visit James Austin’s original cottage. Austin is an Old French shortening of the name Agustin, the equivalent of the English Augustine, and the surname Austin has the same source. Austin was #108 in the 1900s, and left the charts in the 1950s. It returned in the 1990s at #196, the decade of the Austin Powers spy comedies with Mike Myers in the title role. Groovy, baby! It climbed steeply and joined the Top 100 in 2011. It is currently #61, and was the fastest-rising name in Queensland and a fast-rising name in South Australia last year. It was a fast-rising name in New South Wales in 2013 too, so this retro name is doing very well for itself, and is now more popular than it has ever been before. Cornelian Bay is a suburb of Hobart, whose bay on the River Derwent provides anchorage for yachts; there are boathouses and a waterside restaurant along its foreshore. The first English navigator to explore the Derwent was Lieutenant John Hayes; he came ashore here in 1793, and named the bay after the semi-precious cornelian stones which he found on the beach. Cornelian (also known as carnelian) is a dark red mineral whose name is from the Latin for the cornel cherry, a flowering dogwood tree which has small dark red fruit just the colour of the gemstone. Cornelian was used in Roman times for signet rings used to seal important documents, as hot wax doesn’t stick to it. It was a gemstone often associated with courage and good luck. Cornelian has been in very rare use as a personal name since the 17th century, and overall has been given fairly evenly to both boys and girls. Not many gemstones work well as boys’ names, but this sounds very similar to Cornelius, yet seems much more up-to-date. This would also make a great middle name, and is suitable for both sexes. Fitzroy is an inner-city suburb of Adelaide, and an exclusive area overlooking the North Adelaide Parklands. The houses are mostly 19th century mansions along a few tree-lined streets, as this is where the upper class settlers lived in the city’s early days. It may have been named after Fitzroy in Melbourne, which is named after Sir Charles FitzRoy, the governor of New South Wales in the mid 19th century. Another suggestion is that it was named for historic Fitzroy Square in London, whose name comes from Charles FitzRoy, 2nd Duke of Grafton, an 18th century politician who was a distant ancestor of Diana, Princess of Wales. The English surname Fitzroy (or FitzRoy) comes from the Old French for “son of the king”, and was traditionally given to illegitimate sons and daughters of a monarch, and could be inherited as a surname by their descendants. For example, the father of the 2nd Duke of Grafton was an illegitimate son of King Charles II by his mistress Barbara Villiers. Fitzroy has been used as a personal name since the 18th century, and was sometimes used to indicate a family relationship with illegitimate royalty. Roy- (and royal) names are on trend, and this is one you could consider that has Fitz or Fitzy as the nickname. 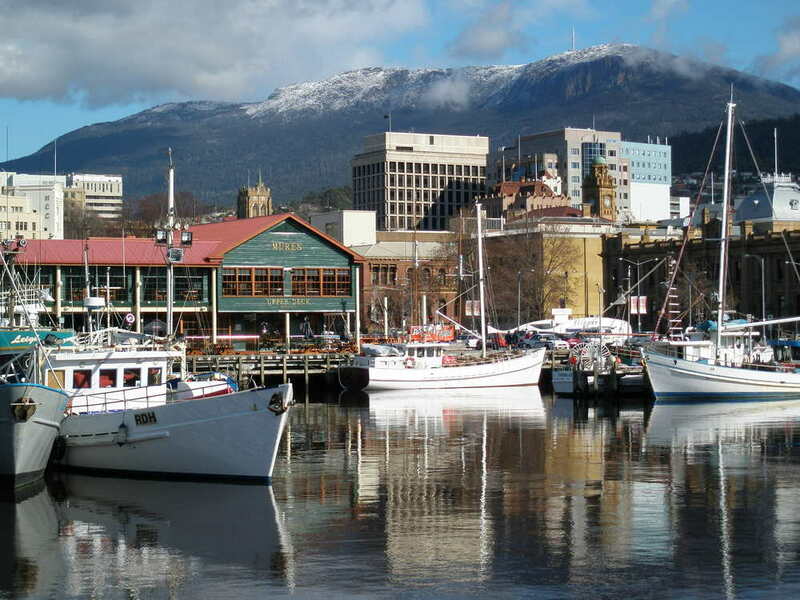 Hobart is the capital of Tasmania; it is Australia’s second-oldest capital city after Sydney, and is our most southern capital city, serving as a hub for Australian and French Antarctic operations. It is located on an estuary of the Derwent River at the foot of Mount Wellington, and more than half of the city is taken up with bushland, so it contains much natural beauty. A small city with many historical buildings from its colonial past, Hobart has a great deal of charm. Hobart was named after Robert Hobart, 4th Earl of Buckinghamshire: Lord Hobart was the Colonial Secretary at the beginning of the 19th century. The surname Hobart is derived from the personal name Hubert, meaning “bright mind”. Hobart has long use as a personal name, and can be found often in historical records, with it being a bit of a favourite in Tasmania – indeed one example I found was Tasman Hobart. The Ho- at the beginning is rousing yet problematic, but you could use Bart or Barty as a nickname. A patriotic choice that may work better as a middle name. Holden Hill is an inner-city suburb of Adelaide. It was named after a road extension called Halden’s Hill in the mid 19th century, as the land the road ran through was owned by a Mr Halden. The name was corrupted into Holden Hill. Holden is an English surname after a small village in Lancashire; it comes from the Anglo-Saxon meaning “deep valley”. Its most famous literary namesake is Holden Caulfield from J.D. Salinger’s Catcher in the Rye. It’s quite likely that Salinger named the character after a friend called Holden Bowler he met while they were both working on a ship. Mr Bowler went on to run his own advertising business and was godfather to singer Judy Collins. In Australia Holden will remind people of the car company, its name coming from South Australian manufacturer Sir Edward Holden (although it is owned by General Motors). Sadly, Holden will cease production in Australia in 2017. A very uncommon name in Australia because of the car. Jupiter Creek is a semi-rural suburb of Adelaide which was once part of a gold-mining area, and still a place to go fossicking. Its name was given by gold-miners, possibly after a bull named Jupiter who was fond of running away to graze there. In Roman mythology, Jupiter is king of the gods, and the god of the sky and thunder, the equivalent of the Greek god Zeus. Ruler of the heavens, he was a divine witness to oaths and the protector of the state and justice; his symbols were the oak tree, the eagle, and the thunder bolt. His name is from an ancient root meaning “O Father Sky-god”, so his name is an invocation: to speak the name of Jupiter aloud is to call upon the god. The Romans named the largest planet in the solar system after Jupiter, and believed those born under its influence to be especially fortunate. As Juno is a hip name for girls, and so is Juniper, Jupiter for boys doesn’t seem too strange. A possible issue is the movie Jupiter Ascending, which has Mila Kunis as a heroine named Jupiter. Linden Park is an affluent suburb of Adelaide. It was named after a house and estate which was built by Sir Alexander Hay in 1861. Linden trees (Tilia) are also called lime trees, although they are not closely related to the tree which produces lime fruit. They are tall, shady trees that have great significance in Germany and Eastern Europe, where they were seen as sacred; in German folklore, the linden is said to be the tree of lovers. Lindens have often featured in stories and poems, often as a symbol of love, protection, or resurrection. In Marcel Proust’s Swann’s Way, the narrator dips his madeleine cake into a cup of lime-flower tea, which opens up a flood of memories. The word linden is from an ancient Germanic root which may mean “mild, soft”: the timber of the linden tree is soft and easily worked, making it ideal for carving. Linden has been used as a name since the 18th century, overwhelmingly for boys, and is found in Australian records quite often, mostly from around the late 19th and early 20th centuries, although I know a few men around my age named Linden. I haven’t seen it on a young child, but this is a handsome, soft-sounding tree name, not so different in sound from popular Lincoln. Montrose is a northern suburb of Hobart. It is named after Montrose House which was built in 1813 by a Scottish settler named Robert Littlejohn, a renowned painter, botanist and teacher. It is the third oldest house in the state, and is named after Montrose, on Scotland’s east coast. A picturesque resort town, it is regarded as a cultural centre, and known for its sculpture. The town’s name is usually thought to be from the Gaelic monadh, meaning “moor”, and ros, meaning “peninsula”. Folk etymology understands it as “mount of roses”, and the town’s Latin motto is Mare Didat, Rosa Decorat, meaning “the sea enriches, the rose adorns”. Montrose is also a surname, and the Duke of Montrose is a title in the Scottish peerage, held by the Graham family. Montrose has been used as personal name since the 18th century, and first used by the Grahams. It has been used for both sexes, but is more common as a male name. Scottish and aristocratic, this is like a cross between Montgomery and Ambrose, and has Monty as the obvious nickname. Sorell is a historic market town north-east of Hobart, now a dormitory suburb of the city. It is named after William Sorell, the state’s third Lieutenant-Governor. William Sorell did a good job of cleaning up the colony, which he had found in a fairly lawless and untidy position. The English surname Sorell is from the Old French nickname Sorel, meaning “chestnut”, and given to someone with reddish-brown hair. It has been in rare use since the 19th century, and is given to both sexes, although more common overall as a male name. It may be known from Sir Julian Sorell Huxley, biologist and brother of Aldous Huxley. An interesting, intelligent name that may sound too close to the word sorrow for some parents. Mount Stuart is a suburb of Hobart on a ridge with the wonderful name of Knocklofty. The suburb is named because of Mountstuart Elphinstone, a Scottish statesman and historian who was Governor of Bombay (now Mumbai). A ship named in the governor’s honour as the Mountstuart Elphinstone visited Hobart in 1836, bringing the welcome news that the cruel and unpopular Lieutenant-Governor George Arthur was ordered to return to London. In celebration of getting rid of him, two roads were named Mount Stuart Road and Elphinstone Road, and eventually the area became known as Mount Stuart. Mountstuart Elphinstone was probably named after Mount Stuart House on the Isle of Bute in Scotland, the seat of the Stuarts of Bute. They are descended from Robert II of Scotland, the first of the Stuart kings (the Elphinstones are related to the Stuarts). The name of the Stuart dynasty comes from Stewart, the Scottish form of steward, meaning a governor. The first of this surname was Walter Stewart of Dundonald, High Steward of Scotland. The Stuart dynasty ended up ruling Great Britain for more than a century, and it’s because of them that Stuart was used as a personal name. Stuart was #135 in the 1900s, joined the Top 100 in the 1940s and peaked in 1969 at #31. It left the Top 100 in the 1990s and hasn’t charted since 2010. Stewart was less popular, never reached the Top 100, and hasn’t charted since the early 2000s. People’s favourite names were Linden, Austin and Holden, and their least favourite were Montrose, Jupiter and Hobart. It is Australia Day tomorrow, and for our patriotic lists, I thought it must be about time to have names of our prime ministers and their spouses. Ladies first! Antonia Watson (nee Dowlan) was the second wife of Chris Watson; she was a 23 year old waitress and he was 58. Antonia is the feminine form of the Roman family name Antonius. The Antonia was a very old family who claimed descent from Anton, a son of Hercules – Anton seems to have been invented, and the name may be Etruscan in origin. The most famous of the Antonii was Marcus Antonius (Mark Antony), made famous by Shakespeare’s play Antony and Cleopatra. Mark Antony’s first wife was his cousin Antonia, and he had three daughters, all named Antonia. The youngest Antonia was famed for her beauty and virtue, and became the mother of the Emperor Claudius, and grandmother of Caligula. There is a Saint Antonia who seems to be Saint Theodora under another name, and the name has been used amongst continental royalty – it was a middle name of Maria Antonia, otherwise known as Marie Antoinette. Antonia has charted since the 1950s, when it debuted at #346, and it peaked in the early 2000s at #279. Currently it is around the 400s, so this elegant name is an underused modern classic. Lady Bettina Gorton (nee Brown) was the wife of John Gorton. Bettina was an American student at the Sorbonne who met John while on holiday in Spain; he was a student at Oxford. After marrying in England, they moved to his family’s farm in Australia, and Bettina supported her husband in his political career. On an official visit to Sarawak, Bettina became interested in Asian languages and culture; she later graduated with honours in Oriental Studies from ANU and worked on the English-Malay dictionary. When John became prime minister, her knowledge of South East Asian languages made her a great asset when travelling overseas, and she established a native garden at The Lodge which is named in her honour. The name Bettina can have two possible origins. If German, it is a pet form of Elisabeth, while if Italian, it is a pet form of Benedetta, the feminine form of Benedetto, the Italian form of Benedict. One of the world’s first supermodels was Simone Bodin, who worked under the professional name “Bettina” in the 1940s and ’50s. The French model gave the name Bettina a little boost in the postwar era, but it’s never been common. (Josephine) Blanche d’Alpuget is the second wife of Bob Hawke; she was named after her great-aunt Blanche d’Alpuget, a pioneering journalist. Blanche lived in South East Asia for several years, and after returning to Australia, began writing about her experiences, winning a number of literary awards for both fiction and non-fiction. She later became Bob Hawke’s biographer: his wife tolerated their open relationship for many years, and after retiring from politics he divorced to marry Blanche. Blanche was originally an Old French nickname meaning “white”, to suggest “pure”. The name became common in the Middle Ages, perhaps because very fair skin was considered beautiful and aristocratic. It was popularised by Blanche of Navarre, who had a French mother; as she became Queen of Castile, the name was traditional in her royal family. A famous namesake is Blanche of Lancaster, the mother of King Henry IV, said to be pretty and fair. Blanche was #125 in the 1900s, and left the charts in the 1940s. This is a vintage name which works well in the middle; it might remind you of The Golden Girls or A Streetcar Named Desire. Ethel Bruce (nee Anderson) was the wife of Stanley Bruce. She and Stanley were a devoted couple, and the first to live at The Lodge. Ethel is a short form of names starting with Ethel-, such as Ethelinde. The Old English word ethel meant “noble”, and it was a common name element in royal and aristocratic names. The Victorians were mad keen on Anglo-Saxon names, and began using Ethel as a name in its own right; usually for girls, but occasionally for boys, as there were plenty of male names starting with Ethel-, such as Ethelred. The name was popularised by two 1850s novel – The Newcombes, by W.M. Thackery and The Daisy Chain by C.M. Yonge. Ethel was #14 in the 1900s, and left the top 100 in the 1940s before dropping off the charts in the 1960s. It recently became a celebrity baby name, when pop singer Lily Allen named her first child Ethel, and would appeal to someone looking for an old-fashioned alernative to the current crop of fashionable E names, such as Esther and Eloise. Ilma Fadden (nee Thornber) was the wife of Arthur Fadden. Ilma was a supportive political wife who campaigned for her husband and accompanied him on official visits overseas. The name Ilma can be a short form of Wilhelmina, as well as a Finnish name meaning “air”; I have also seen it listed as a Hungarian form of Amelia. I suspect that in everyday usage, it was often given as a variant of Elma – a name of obscure origin, possibly sometimes created from other names, such as Elizabeth and Mary. Ilma was #176 in the 1900s, and fell until it left the charts in the 1940s – it was a minor trend of the early twentieth century and almost a twin in popularity of Elma. Now this vintage name seems like an interesting multicultural choice not much different to Isla and Emma. Lady Jean Page (nee Thomas) was the second wife of Earle Page, and originally his secretary. Like Joan and Jane, Jean is a medieval form of the Old French name Jehanne, introduced by the Normans, and a popular choice in both England and Scotland during the Middle Ages. In England, Jean was eventually surpassed in popularity by Jane, but continued being used in Scotland. In the 19th century, the name was re-introduced back to England, where it now seemed a Scottish name choice. Jean is also a man’s name, the French form of Old French Jehan, and thus the French equivalent of John. Jean first charted in Australia as a unisex name, peaking in the 1910s and ’20s (in the Top 50 if most of the Jeans were girls). In the 1950s, Jean joined the charts as a specifically feminine name, where it peaked at #140, and left the charts altogether in the 1990s. Never popular in the postwar era, it remains very well used as a middle name. 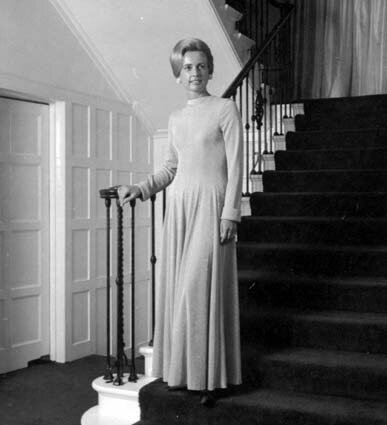 Margaret Whitlam (nee Dovey) was the wife of Gough Whitlam. A former champion swimmer, Margaret was a social worker who seemed the perfect match for her husband, and the couple were deeply in love. Margaret was an outspoken advocate for women’s rights, a regular guest on radio and television, and a columnist for Woman’s Day. She died just two years before her husband, acknowledged as one of Australia’s National Treasures. Margaret is derived from the Greek for “pearl”. The name came into common use because of Saint Margaret of Antioch, a legendary saint who was tortured for her faith. She was supposedly swallowed by Satan in the form of a dragon but escaped unharmed, which made her enormously popular. Margaret has been used by European royalty since medieval times. Queen Margaret of Scotland was an Englishwoman married to Malcolm III canonised as a saint: the name has particularly strong associations with Scotland. Princess Margaret was the younger sister of Queen Elizabeth; her grandfather was a Scottish peer. Margaret is a classic name which has never left the charts. It was #6 in the 1900s, and the #1 name of the 1930s and ’40s. It left the Top 100 in the 1980s, and is currently in the 400s, where it has remained fairly stable for decades. An intelligent, dignified classic with tons of nicknames, including Daisy, Greta, Maggie, Maisie, Margot, Meg, Meta, Peggy, and Rita. (Elizabeth) Martha “Pattie” Deakin (nee Browne) was the wife of Alfred Deakin. Alfred was a lifelong spiritualist, and Pattie shared his faith; their marriage was long and happy. Martha is the Latin form of the Aramaic name Marta, meaning “lady, mistress”. In the New Testament, Martha was the sister of Lazarus and Mary of Bethany. Many remember the story when Martha was busy in the kitchen cooking for the disciples, while her sister Mary sat listening to Jesus. Worried and distracted, Martha asked Jesus to rebuke her sister for not helping her, but Jesus said that Mary had chosen the better path (tough advice for those who wear themselves out working for others). Practical and caring, Saint Martha is a role model for those seeking an active helping role in the spiritual life. Martha was #92 in the 1900s, and left the Top 100 the following decade, dropping off the charts briefly in the 1940s, and again in the 1990s. It had a minor comeback in the late 2000s, and is already a Top 100 name in the UK, and climbing. A strong, capable, and attractive name which has never been very popular. Lady Sonia McMahon (nee Hopkins) was the wife of William McMahon. The grand-daughter of one of Australia’s wealthiest men, she was an occupational therapist before her marriage. Glamorous and charming, Sonia made international headlines when she wore a revealing dress to a dinner at the White House, showing more leg than was usual. Sonia is a variant of Sonya, Russian pet form of the name Sophia, from the Greek for “wisdom”; Sonja is another common variant. Sonia is also an Indian name, meaning “golden” in Hindi. The name was popularised in the English speaking world through a 1917 best-selling novel called Sonia: Between Two Worlds by Stephen McKenna. The title character is an upper class English girl with big brown eyes and a face like a Sistine Madonna. Sonia first entered the charts in the 1920s, debuting at #309. It entered the Top 100 in 1967, around the time Sonia McMahon came into the public eye, and peaked in 1971 at #52 – the year she wore “that dress”. Leaving the Top 100 in the 1980s, it hasn’t charted since the early 2000s, having been well and truly taken over by popular Sophia. Tamara “Tamie” Fraser (nee Beggs) is the wife of Malcolm Fraser. Ambivalent about being in the public eye, she proved an excellent political campaigner, and was the first prime ministerial wife to employ her own secretary; Tamie also oversaw extensive renovations in The Lodge. She continues to be active in community affairs. Tamara is the Russian form of Tamar, a Hebrew name meaning “date palm”. The name became better known in the English speaking world because of Russian ballerina Tamara Karsavina, who moved to London as a ballet teacher in the 1930s. Tamara first joined the charts in the 1950s, debuting at #522. Its rise in the 1950s seems to be as a formal option for the name Tammy, which became popular because of a Debbie Reynolds romantic comedy called Tammy and the Bachelor: the song Tammy from the film became a smash hit. Tamara joined the Top 100 in 1975, when Tamie Fraser came into the public eye, and peaked in 1989 at #56, leaving the Top 100 in the early 2000s. Currently it is around the 300s, and shows some signs of a slight recovery. People’s favourite names were Margaret, Antonia and Martha, and their least favourite were Blanche, Ethel and Ilma. Welcome to the second annual Matilda Awards, a quest to discover which names featured on the blog in 2014 gained the greatest approval from the public. The most popular names featured in the Waltzing With … category were CONSTANCE for girls, which scored an approval rating of 85% and FORREST for boys, which was rated 78%. Constance is an Old French name dating to medieval times, traditional amongst aristocracy and royalty, but also valued as a virtue name. It hasn’t charted since the 1990s, and hasn’t been popular since the 1920s. The name Constance was chosen to honour courageous World War I nurse, Sister Constance Keys. Forrest is an English surname with strong Scottish associations, in use as a first name since at least the 16th century, and possibly even earlier. It has never charted, but is found fairly often in Australian historical records. The name Forrest was chosen for the wealthy Forrest family, prominent in conservative politics. Once again, the key to winning this category, which has a very simple voting system, is for people to have a high level of tolerance for the name. Both Constance and Forrest were names which hardly anybody had animosity towards, and most people thought were perfectly fine. The most popular names featured in the Famous Name Category were HOPE and OPAL for girls, which both scored an approval rating of 86% and SAMUEL for boys, which scored 88% and was the top-rated name overall for the year. Hope is a virtue name which is an underused classic; almost constantly on the charts, it has never become popular. Hope was praised as a simple and elegant classic which was both pretty and wholesome, and had a very positive meaning. The name was chosen to commemorate the centenary of the start of World War I.
Opal is a gemstone name with a patriotic meaning – the opal is Australia’s national gem, and the black opal is the state gem for New South Wales. A name most used during the Victoria era, it has never charted, but is often found in Australian records, especially in opal mining regions. Opal gained approval as an unusual and refreshing choice which was both pretty and simple, and hip and quirky. The name was chosen for the roll-out of the Opal public transport card in Sydney. It’s interesting that Hope and Opal tied for first place, as they are quite similar – both short, simple English names with a strong OPE sound to them. Samuel is a Hebrew name from the Bible; in the Old Testament, Samuel was a prophet and judge of Israel who brought peace to the land. Samuel is a classic name which has never been out of the Top 200, and is very popular, with a stable position for twenty years. Samuel was seen as a handsome classic which was both strong and gentle; a “nice guy” name which aged well and suited a variety of people. The name was chosen for the actor Samuel Johnson, who broke the world unicycling record to raise funds for breast cancer research; coincidentally, Samuel did this feat for his sister, who is named Constance, another favourite name. The most popular names which were featured in the Names Themes and Lists Category were VIOLET and THEODORE. Violet won very convincingly, and also managed to win its original poll, while Theodore had a comfortable win. Violet is a retro flower name first used in Scotland. Popular in the 1900s, it left the charts from the 1960s to the 2000s, but is now back with a bang, and zooming up the Top 100. The name was chosen for a spring-time list of native Australian flowers. Theodore is a Greek name common in ancient times, which gained popularity amongst early Christians. An underused classic, Theodore has been rising steeply for decades, and seems likely to join the Top 100 soon. Theodore was chosen from the Australian children’s book Antonio S and the Mystery of Theodore Guzman by Odo Hirsch, part of a list for Book Week. The most popular celebrity baby girl name was CLEMENTINE FRANCES LOGAN, which proved a clear favourite right from the start. Clementine is the daughter of Peter and Hannah Logan, and this is proof you do not need to be an A-lister to have a great baby name, because the Logans are local celebrities from the Mudgee area, who run a successful wine company. Tess Clementine was the favourite baby name in 2013, and it looks as if blog-readers are Clementine-crazy. The most popular celebrity baby boy name was EVANDER MAXWELL GLEAVE, who managed to win by a single vote in an extremely tight contest, as many boys’ names were nominated this year. Evander is the son of Australian model and Miss Australia winner Erin McNaught, and British rapper Example (Elliot Gleave). Clementine and Evander both have elegance and substance, with classical roots, and a European vibe, being fairly popular in France, while uncommon here. The middle names are solid classics which aren’t popular as first names. Celebrities, take note! There was no favourite amongst the celebrity twins, as none of them received enough approval to be eligible. Yes, this is a tough audience. The most popular names for multiples were boy/girl twins FLORENCE AND HENRY, who proved solid performers. This handsome twin set from March was nominated by Madelyn. In the girls section, ARABELLA HERMIONE ROSE scraped through by one vote. Elegant and a little off-beat, this pretty girl’s name from April was nominated by Sophia. Amongst the boys, HUGO FREDERICK had a very comfortable win. This stylish boy’s name from early November was nominated by Nana Patricia. The sibsets were dominated by LILY, WINTER, BEAU AND VIOLET, who absolutely destroyed all opposition. Note that Violet had a second victory. These four siblings, whose names have a simple, natural feel, were nominated in late November by both Nicole and Names For Real (Sarah from For Real Baby Names). Some themes were clear this year: Scottish names did very well, as Forrest, Violet, Clementine Logan and Arabella all have links with Scotland. It did not win independence, but the land of loch and legend clearly won our hearts. Nature names and virtue names were also clear favourites – a positive meaning seems to be a real help. This Tuesday is Remembrance Day, so today we will remember a World War I heroine. The Australian nurses who served in World War I have not always received the full recognition they deserve, but the award-winning television miniseries Anzac Girls, based on their stories, has brought these “other Anzacs” attention this year. 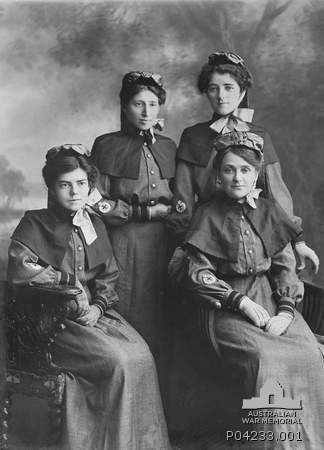 More than 5000 Australian nurses served during World War I, many of them in the sort of unofficial capacity that meant they are barely remembered today. They worked under gruelling conditions, underpaid, under-resourced, and often forced to improvise. They shared many of the soldiers’ hardships, including illness, physical danger, and psychological trauma. Nurses were a vital part of the war effort, taking care of wounded soldiers, and offering comfort and cheer, giving them the courage to go back to the battlefield. No matter what horrors they saw, nurses had to remain cheerful, because the men depended on them. Many nurses became friends with their patients, meaning that losing one in battle brought deeper emotional strain. The Allied soldiers often commented that Australian nurses were amongst the kindest and most caring, and their professional standards were high. Sister Constance Keys has been on the blog twice before – she was amongst a group of nurses whose photo was used for Girls Names from the 1910s, and a quote from one of her letters was used for the entry on Gallipoli. Constance Keys was a Brisbane nurse who enlisted in the Australian Army Nursing Service in 1914, serving in Egypt, England, France, and Belgium. Constance treated casualties from Gallipoli, and for most of 1918 was right near the front line in northern France, where her nursing station was heavily bombed more than once. Conditions were wet and cold, greatly increasing the suffering of her patients, and making movement difficult. She and her staff treated those who had been gassed, coped with influenza outbreaks, and had many casualties who suffered from exhaustion as well as wounds. Sister Keys was discharged from the AIF in 1920 as one of the most highly decorated nurses in the AANS. Twice mentioned in dispatches for bravery, she received the Royal Red Cross, first and second class, and was awarded the Médaille des Epidémies in recognition of her work for French refugees. 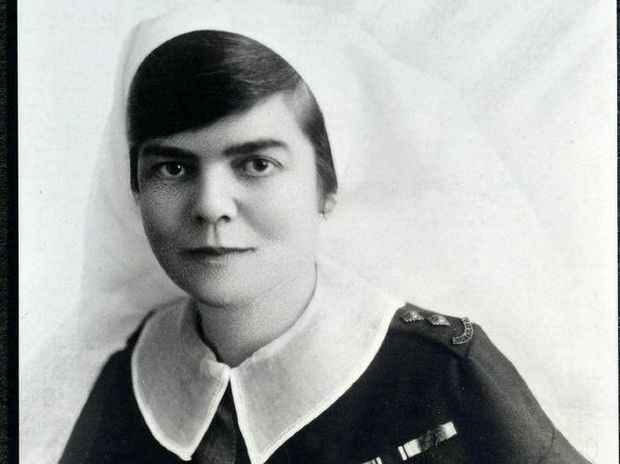 After the war, she became a hospital matron, and married a Gallipoli veteran; during World War II she trained Red Cross volunteers and entertained soldiers. After her death, her wartime diaries and letters came to light, as well as her autograph book, in which she managed to get the signature of King George V. They give a clear picture of a young woman who was not only courageous and compassionate, but determined to remain in good spirits. Under fire, Constance was “only afraid of being afraid”, and in the English fogs, “apart from the constant feeling of loss, quite well”. She writes of her little troubles, such as not having enough food, her hair falling out, and being a “bushwhacker” in regard to fashion, all in bright and amusing terms. She was a caring nurse who wrote letters and postcards to soldiers with no mail, felt guilty that she could only afford to shout ten men to lemonade and not everyone, and took time to make mud pies with a “little French kid”. Connie also enjoyed those moments of pleasure and fun that came her way, such as buying a lovely pair of buttoned boots in England, seeing exquisite Oriental artefacts in Cairo shop windows, a mess room in Belgium with a sweet-toned piano for her to play, going on leave in Cannes to wake up to eucalypts and wattles outside her window. But she always remained a Queensland girl who had forgotten the taste of mango, and longed for a slice of passionfruit cake. Constance is the medieval Old French form of the Roman name Constantia, the feminine form of Constantius, derived from the name Constans. This Latin name means “constant, steadfast”, referring to someone steady and faithful in their purpose or feelings. It is the basis for the English word constancy. Traditional amongst European royalty and nobility, this name literally came over with the Conqueror, because Constance was one of the children of William I, said to have been the most gifted of his daughters. Princess Constance was her mother’s favourite child, so she wasn’t offered in marriage until she was positively ancient by medieval standards – in her mid to late twenties. She married a duke of Brittany, but died not long afterwards, reputedly poisoned by her servants. Constance has often been used by the British aristocracy. One example is Lady Constance Bulwer-Lytton, a suffragette who went by the alias Jane Warton so she wouldn’t receive special treatment. A vegetarian, campaigner for birth control, prison reformist, and supporter of Morris dancing, she never married, as her mother would not allow her to marry a man from a lower social class. She died from a heart attack and series of strokes in her fifties; it is thought from the force-feedings she endured while hunger-striking in prison. Other upper-class Constances include the pacifist writer Lady Constance Malleson, who performed as an actress under the name Colette O’Niel, Lady Constance Gaskell, Lady in Waiting to Princess Marina, and (Constance) Gwladys Robinson, Marchioness of Ripon, a patron of the arts and friend of celebrities such as Oscar Wilde and Nellie Melba. This reminds me that Oscar Wilde’s wife was named Constance too. Constance is a favourite choice for aristocrats in English fiction, such as P.G. Wodehouse’s imposing Lady Constance Keeble, and Lady Constance Chatterley who forms a close connection with her husband’s gamekeeper in D.H. Lawrence’s Lady Chatterley’s Lover. It is also a Shakespearean name, because the historical character Constance, Duchess of Brittany, who married a son of Henry II, appears in King John. But Constance was not just a name for dames, duchesses, and dowagers. 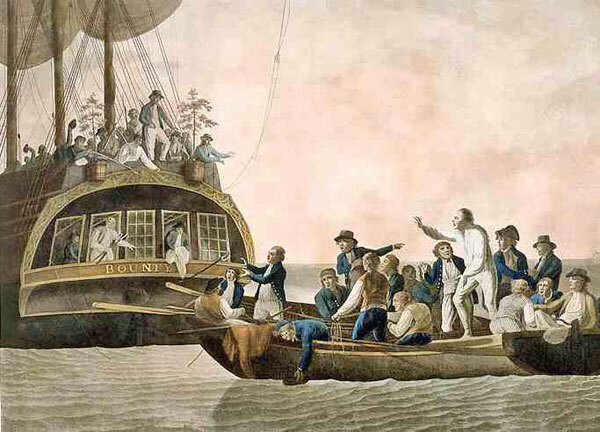 Being a virtue name, it was appreciated by the Puritans, and Constance Hopkins was a teenaged girl who sailed on the Mayflower as a pilgrim: she was a sister of the baby boy Oceanus who was born on the voyage, and often mentioned in name blogs. Constance married and had twelve children, who provided her with seventy four grand-children; she has many living descendents. So the name Constance has plenty of history in America too. Constance left the US Top 1000 in 2000, is still falling, and last year there were 103 baby girls named Constance – the same number as those called Arwen. It is much more popular in the UK, where Constance is #267 and stable. Constance is most popular in France, where it is just outside the Top 100 and rising. 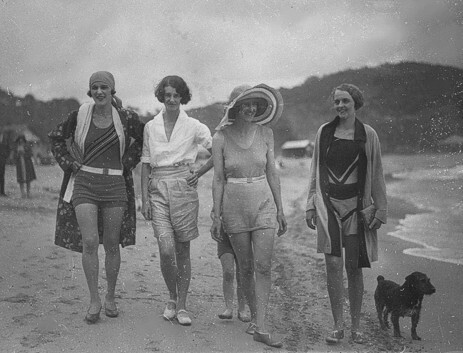 In Australia, Constance was #83 in the 1900s, and peaked in the 1920s at #76, before leaving the Top 100 in the 1930s. It dropped off the charts in the 1960s, and made a minor come-back in the 1990s at #751. I rarely see a baby named Constance, but it does get a bit of use as a middle name, where it makes a wonderful alternative to the popular Grace. Constance is a beautiful, elegant traditional name; a strong, brave name for a woman, yet also modest and sensible. It’s in rare use now, but that may be a drawcard for those parents wanting a familiar name that isn’t common. The nickname Connie sounds dated, which probably helps explain its lack of popularity, but you could use something more modern, like Coco or Tansy. However, Constance doesn’t need a nickname in my opinion – it’s lovely all on its own. Constance received an outstanding approval rating of 88%, making it the highest-rated of the featured names of the “Waltzing” category in 2014. 34% of people liked the name Constance, while 30% didn’t mind it. Only 1% (1 person) hated the name the Constance. As we move into misty autumn, we will look at an Australian artist who worked in obscurity, and whose 127th birthday was on this year’s Equinox, March 21. Clarice Beckett was born into a comfortably-off Victorian family – her grandfather was the master builder who designed and built Como House. Her father’s only ambition for his daughter seems to have been that she would marry into wealth, but her mother, a hobbyist painter, encouraged her artistic talents. 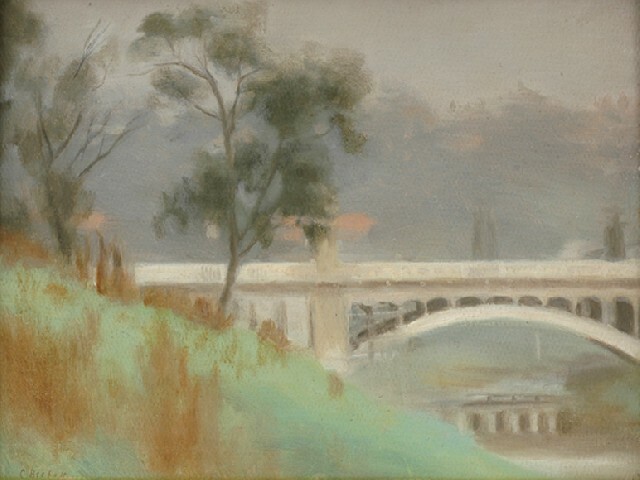 Clarice studied art in Melbourne, including three years under Frederick McCubbin, and was a student of the controversial artist Max Meldrum, who argued that painting was a pure science, most reliant on tone, and with colour the least important component. In 1918, Clarice’s father retired, moving his family to the Melbourne bayside suburb of Beaumaris. Her parents were ill and demanding, so that Clarice took responsibility for most of the household chores. Mr Beckett seems to have been disappointed in his career, and to have been a very difficult man. He wouldn’t allow Clarice to have a studio, telling her that the kitchen table was good enough. Clarice built herself a little cart filled with painting equipment, which she used as a portable studio. She tended to go out very early and late, the only times she was free from domestic duties, to paint scenes from her local area, finding endless inspiration in the sea, beaches and suburban streets, bathed in the soft light of dawn and dusk. Her style was simple and original, and her paintings strongly atmospheric, often set on misty days. Clarice was never taken seriously as an artist in her lifetime, with critics occasionally sneering at her “continual state of fog”, but most ignoring her completely. Sales of her work were pitifully small. Even her mentor Max Meldrum, who was supportive of her work, made it known that there would never be a great female artist, as women lacked the necessary capacity to be alone. Yet he praised Clarice for “working like a man”, and defended her fiercely. Her artist friends saw her as beautiful, unassuming and intelligent; sharply witty, but with the aloofness of extreme shyness. In 1934, Mrs Beckett died from a stroke, and Clarice was severely affected by her mother’s death. The two had become very close, and Clarice was left alone with her invalid father, who became jealous of anything which might take his daughter away from him. She stopped attending art classes or social events, and when friends came to the house, Mr Beckett ordered them to leave. Clarice was now completely isolated, and she admitted to feeling a failure. Clarice still painted whenever she could and one night, a year after her mother’s death, she continued working outdoors even though a storm had set in. She caught a chill which developed into pneumonia; her heart was already weak, and she died five days later, aged 48. The doctor believed that she might have survived, had her will to live been stronger. It was not until 1971 that an exhibition of Clarice Beckett’s paintings were held, after more than 2000 of her canvases were found rotting away in a country barn. A leading critic hailed her as “a remarkable modernist”, and the Australian National Gallery purchased 14 of her paintings. The public were so enthusiastic that viewing hours were extended and the exhibition sold out. Since then, there have been several more public exhibitions of her work; she is regarded as one of Australia’s finest artists, and it is promised that she will never be forgotten again. Clarice is a medieval form of the name Clara, a Roman name which comes from the Latin meaning “clear, bright”. Clarice is thought to be based on the Old French form, Claritia – just as the medieval name Lettice was based on Letitia. It was brought over by the Norman aristocracy, who were big fans of “Clare” names, and it can be found by the early 12th century, sometimes spelled Claris. Clara itself doesn’t seem to have been used in Britain until slightly later. The name Clarice became well known in 1991 with the release of the Oscar-winning movie, The Silence of the Lambs, whose heroine is the beautifully named Clarice Starling, an FBI trainee on the trail of a serial killer. Clarice Starling was listed by the American Film Institute as one of the Top 100 movie heroes, and is the highest female on the list. A rather different fictional Clarice is the equally delightfully named Clarice Bean Tuesday, from the children’s books by English author Lauren Child, who also penned the popular Charlie and Lola series. Clarice Bean is the middle child in her family, who longs for space and privacy, but instead finds herself in all kinds of amusingly chaotic situations. If you like a name that has a song attached to it, you can sing along to Clarice, by Transatlantic folk-rockers, America. Like all songs by this band, I find it pleasant enough, but have little idea what it is about, although the lyrics don’t seem negative at all. There are two pronunciations of Clarice. It can be said KLA-ris, to rhyme with Paris, which is a more British pronunciation, or it can be said kluh-REES, to rhyme with Denise, which is far more common in the United States. You’re welcome to choose either pronunciation, but to my mind, the first one sounds far more stylish and contemporary, while the second one reminds me of those pseudo-French names like Shanice and Fonice, which seem a bit daggy and dated. Clarice is a strong yet elegant name which seems intelligent and dignified. It’s a very old name, but to me doesn’t seem “old-fashioned”. I can imagine it sounding adorable on a little girl, like Clarice Bean, but also perfect for an adult, like Clarice Beckett. It would make a great alternative to popular-yet-falling Claire, or fashionable-and-rising Clara for anyone who would like a traditional name which is still a little out of the ordinary. Clarice received an approval rating of 54%. The name reminded 23% of people too strongly of Silence of the Lambs, but 15% thought the name was pretty and feminine. Nobody thought the name Clarice was tacky and tasteless.